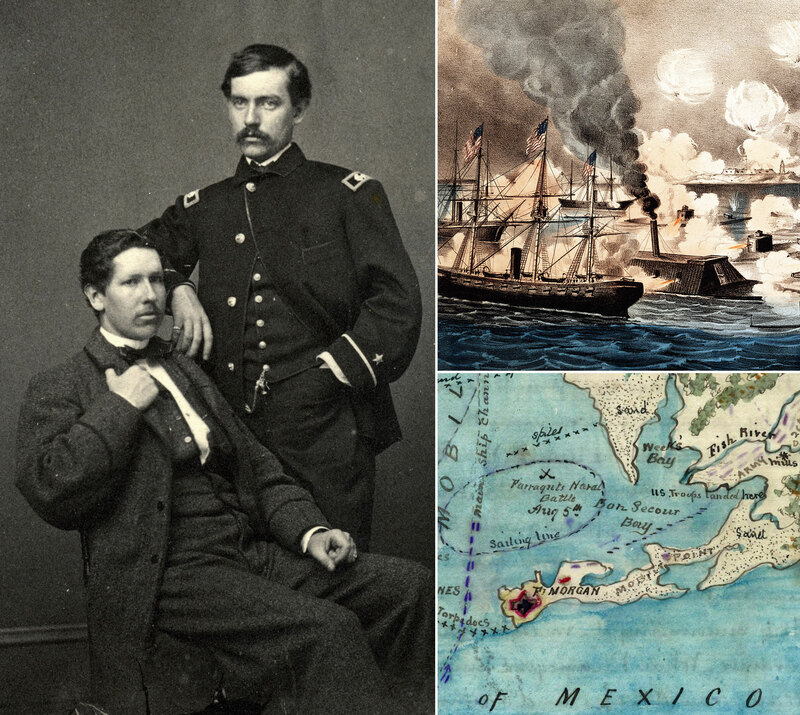 A hailstorm of rebel artillery pounded Union Rear Adm. David Farragut’s flagship, the Hartford, as she steamed into Mobile Bay at the head of the attacking fleet on August 5, 1864. Shells tore through her planking as heavy metal fragments and wood splinters careened through the air at lightning speed and took a deadly toll on officers and men. Cmdr. 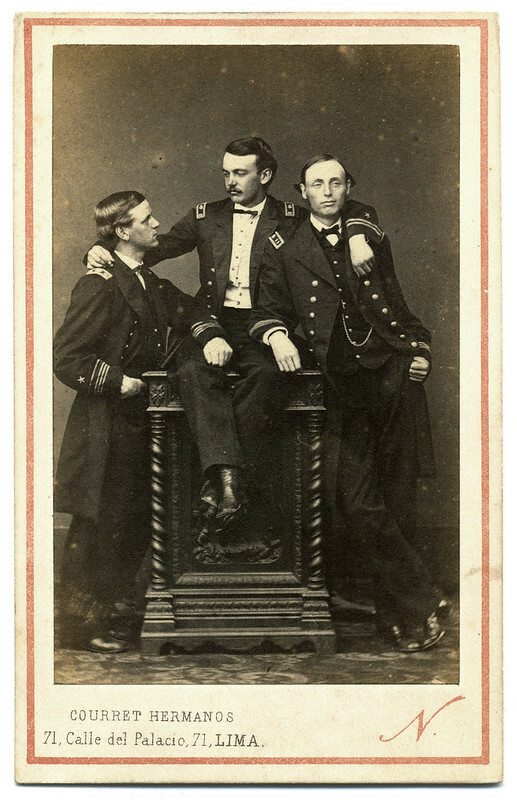 Richard Starr Dana, U.S. Navy, standing, and his brother, Richard Starr Dana. 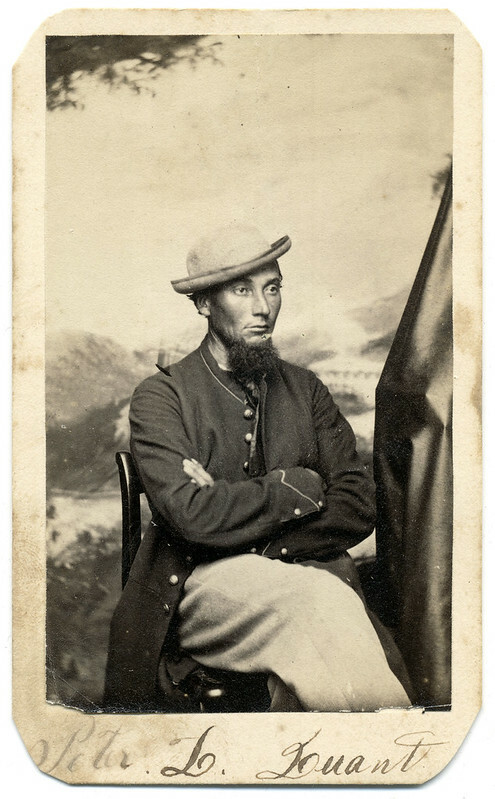 Carte de visite by an unidentified photographer, about October 1863. 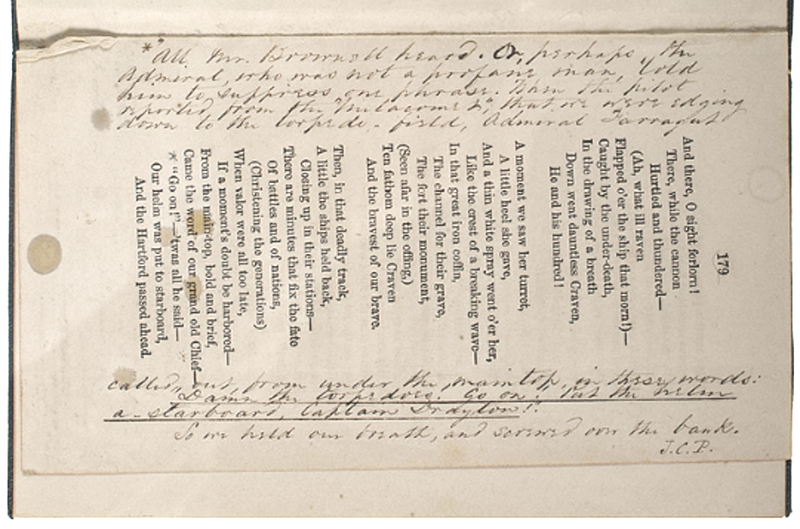 Collection of the author. One well-aimed projectile ripped through the Hartford’s battle-scarred wooden hull and blasted the forward berth deck. The commander of this section of the ship, Ensign William S. Dana, recalled, “Fragments of the shell flew over my head and I was covered by the brains and blood of the man next to me.” This single shot killed three and wounded two, which removed more than a third of his 13-man crew. A young lady stands before the camera with one arm resting on a table upon which rests her bonnet. The remains of a revenue stamp on the back of the mount dates this carte de visite to 1864-1866, which was taken by Elrod Bros. of Lexington, Ky. Her name is lost to history, and it is not known if she had brothers who may have fought for the North and South. 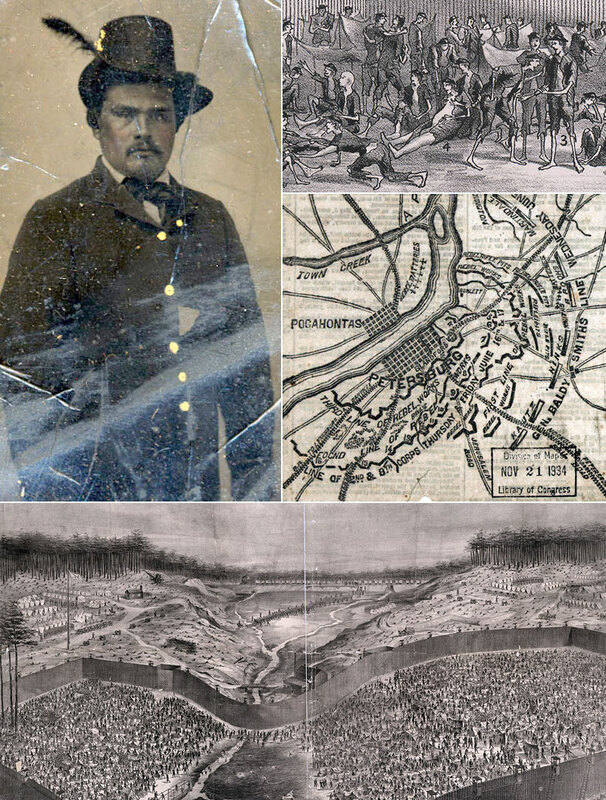 On the morning of June 18, 1864, Pvt. Payson Wolf trudged through the streets of Petersburg, Va., with other battered and bloodied Union prisoners of war. The captives were herded into an old tobacco barn with hundreds of other bluecoats to await their fate in the hands of Confederate military authorities. Only hours earlier, Wolf had come out on the wrong end of a rare nighttime assault, which put him and his comrades in an advanced position near the formidable defenses of the Cockade City. They had been attacked by veteran North Carolina troops and compelled to surrender after a brief and brutal fight. 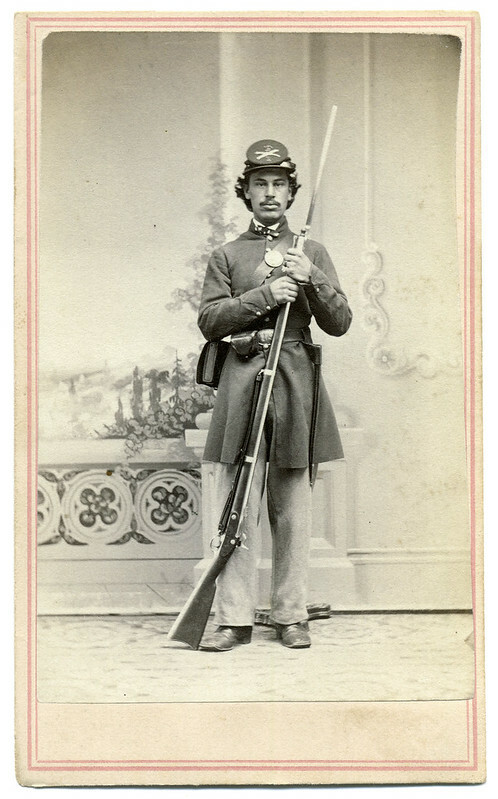 The prisoners were quickly divested of their muskets; one company of Tar Heels jumped at the opportunity to trade their worn weapons for the captured guns. They soon noticed that the wooden musket stocks had been ornately carved with fish, snakes, turtles and other animals – perhaps their first clue that their captives were no ordinary Union soldiers. Read the rest of his story. Iowa-born and Oregon raised Roswell Hawks Lamson (1838-1903) graduated from the U.S. Naval Academy in 1862. 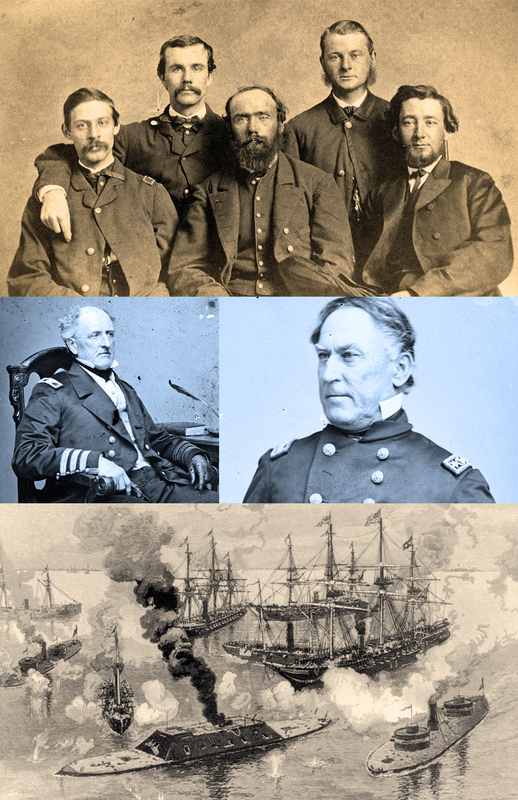 He was promoted to lieutenant, and commanded the gunboats Mount Washington, Gettysburg and Wilderness. 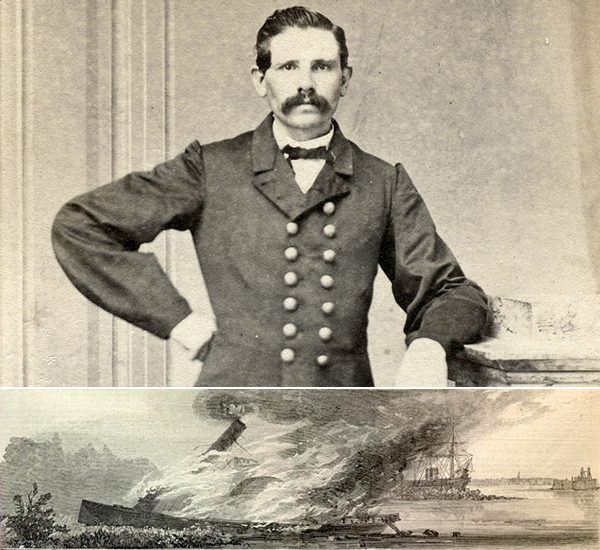 In the latter vessel, he participated in the December 1864 attempt to destroy Fort Fisher using a boat loaded with 215 tons of gunpowder. The “powder boat” exploded, but did not damage the fort. 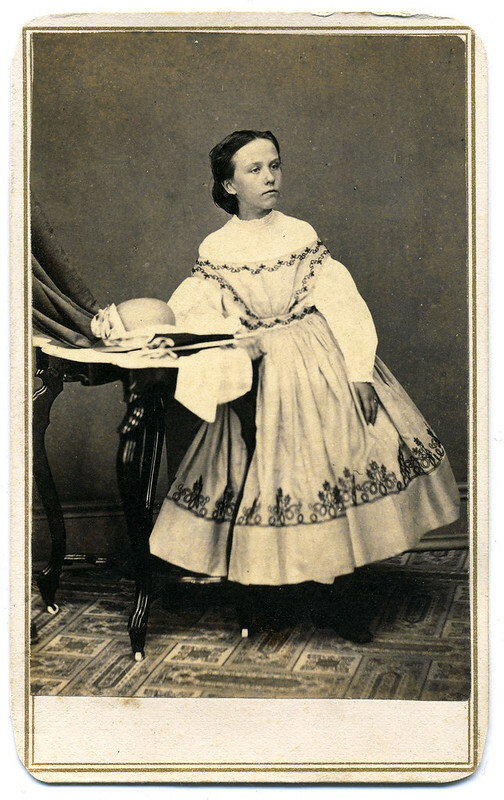 Lamson sat for this carte de visite in the Napoli, Italy, studio of Fratelli Alinar of Napoli. 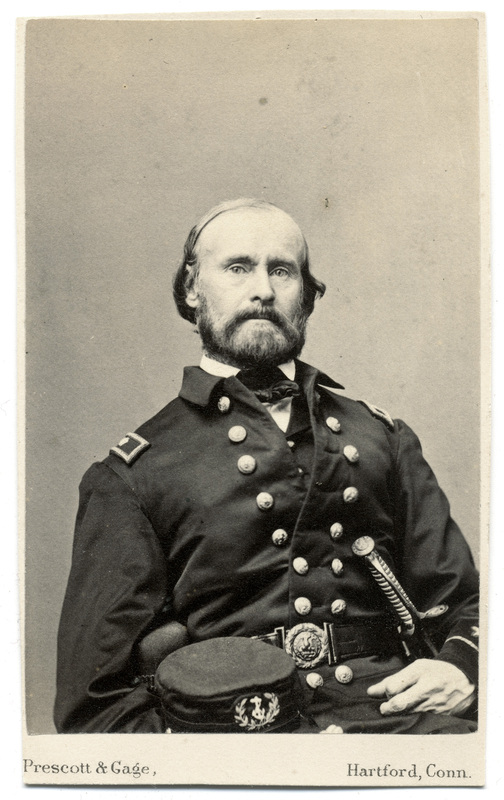 He resigned from the navy in 1866, and returned to Oregon.